Fredericksburg VA Main Street will host an event called A Downtown Affair, the first of its kind for downtown Fredericksburg. 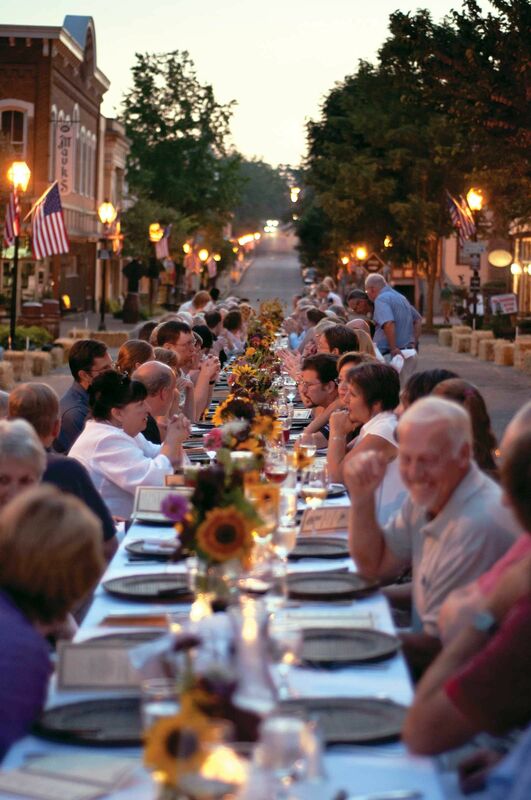 The event will start on the 1000 Block of Caroline Street October 14th, 2018 at 5:00 p.m. and feature a six course, al fresco dinner followed by a live auction of five unique Downtown experiences. The collaborative dinner, headed by Jacquie Hartman, owner and chef of The Confident Rabbit, will benefit Fredericksburg VA Main Street’s Downtown programs. Hartman is joined by other talented Downtown restaurants and cafes who are joining forces to show their love for Downtown. Those involved include: Orofino, Kenmore Inn, Vivify, Olde Town Butcher, Micah’s Café, Agora Downtown, Italian Station, 25 30 Espresso, Downtown Greens, City Vino, Taste OVS, Spencer Devon, Bowman Distillery, Katora and Xquizit. There are a limited amount of tickets for $125 available online or at the Visitor Center (706 Caroline Street) starting at 1pm, Friday, July 27. This event is designed to highlight the local downtown Fredericksburg restaurants, shops, historic venues, artists, and unique services found in downtown Fredericksburg and to support Fredericksburg VA Main Street projects that advance downtown Fredericksburg’s mission.